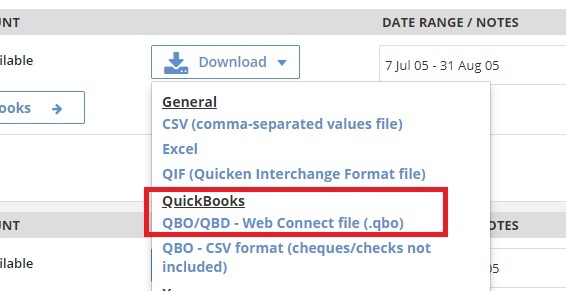 Once you've uploaded your scanned bank statement pages and AutoEntry has completed the extraction it takes only a few clicks to get that data into QuickBooks Online. A pop up window appears to confirm the details. The account number is populated automatically and all you need to confirm is the currency is correct. The other fields are for importing to QuickBooks Desktop and can be ignored for QuickBooks Online. The file downloads automatically to your PC. All those transactions are now for review in QBO where you can confirm and match the recognised transactions and add/accept as normal.